Press the funnel and the train goes along with choo choo and whistle sounds. Train automatically reverses when it hits the barrier. Includes clip on station, 2 buffers and a beaded loop. 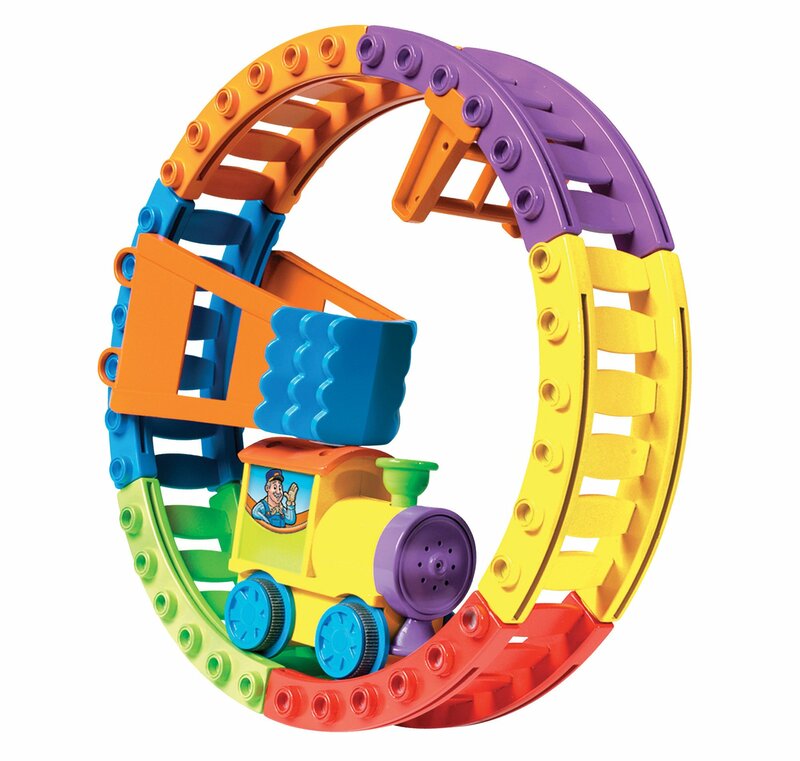 Style: Choo Choo Loop | Product Packaging: Standard Packaging The Choo Choo loop is a classic train and track with a twist! Press the choochoo's funnel and watch the little train move across the track with sounds andwhistles. Then simply twist and click that track to make a loop and watch thetrain roll round and round in the wheel. the train automatically reverses whenit hits the barrier. This fun first train set includes three fun ways to play:loop track, rolling hills track, and free rolling on the floor! Ten piece set.